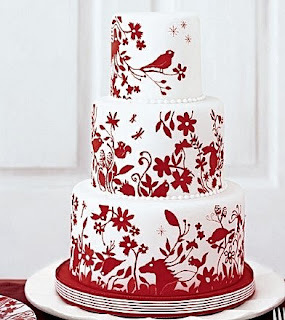 I am so loving this cake by designer Kate Sullivan. When I first saw it I thought, that's what a Tord Boontje cake would look like if, you know, Tord Boontje quite his day job and opened a bakery! I later discovered that this cake is indeed called the Boontje Nature Cake, so the inspiration is fully acknowledged by Ms. Sullivan. I know some people are getting rather tired of the whole animal trend, and I've been desperately trying to wean myself off it, but I just can't seem to stop! I'm a sucker for animal designs and I don't know if I'll ever get over it! 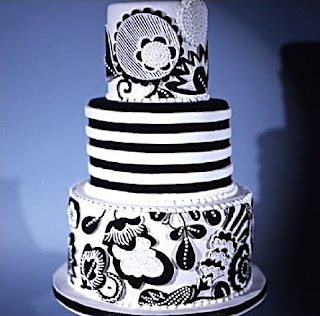 Anyway, Kate Sullivan has a lot of other great, nonanimal-related cakes over at her Web site, many of which are inspired by artists like Robert Indiana, Andy Warhol, and filmmaker Preston Sturges (see below). There's also the Guggenheim Museum cake, complete with miniature people waiting outside. Kate's cakes are especially impressive once you discover that she didn't train at some fancy wancy culinary skill, but learned her trade by studying books and by engaging in the art of good old-fashioned practice. See, there is still hope for the rest of us! Click here for more great photos on Kate's Web site. Very inspiring! 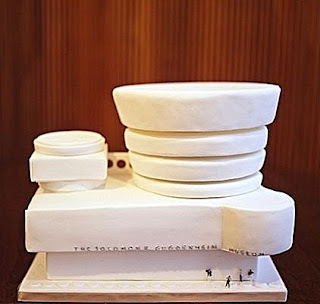 Love that Guggenheim cake! Thanks so much, Dessert Girl!! !